Rumors are one way that enemies try to break up political alliances, but it won’t work on the Suarez-Reyes alliance, according to Quezon Board Member Dominic Reyes. Reyes, in a Facebook post, said there were rumors that the Suarezes have dropped the Reyeses as allies in San Narciso. 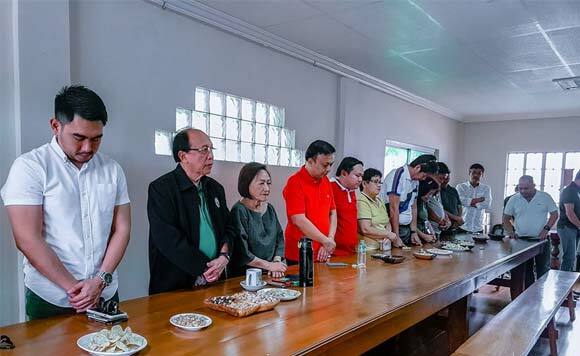 But he said this was false as Danilo Suarez and Aleta Suarez called the mayoralty candidates and councilors in the Bondoc peninsula to a meeting. Reyes said that while people may be spreading false claims, he was with the Suarezes discussing plans for San Narciso. What’s more, he has the pictures to prove it. Pinatawag ni Governor Danilo Suarez at Congresswoman Aleta Suarez ang lahat ng kandidatong mayor sa buong Bondoc Peninsula kasama ang mga konsehal ng mga bayan bayan. Kasama sa pagpupulong si Vice Governor Sam Nantes, at Bokal Jet Suarez. Kaya’t habang pinaiikot niyo sa San Narciso ang mga tao niyo at sinasabing binitawan na ng Serbisyong Suarez ang Hulog ng Langit, naririto kami para pagusapan ang mga plano ng magkaparehong programa para sa bayan ng San Narciso. A picture is worth a thousand words, and I have four. 💙💚,” Reyes posted on Facebook.